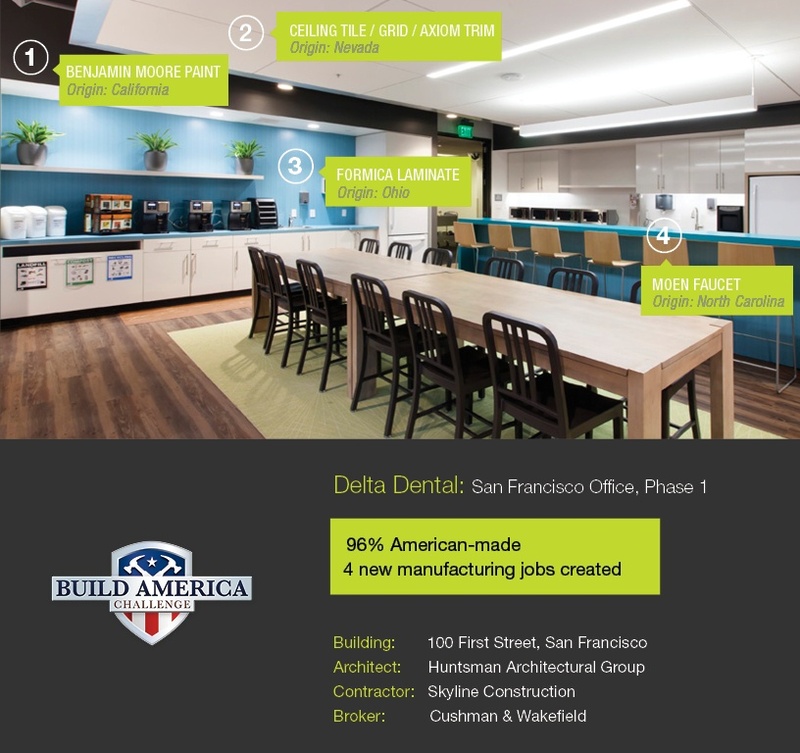 Delta Dental was San Francisco's first project to complete the Build America Challenge. This space was built using locally sourced materials and finishes. Learn how your next interiors project can feature American-made finishes to support the local economy.